The first of a set of three gigs in Brockley’s favourite DIY homebrew beer shop waterintobeer! This time, a first meeting playing together for myself & Corey Mwamba. The final gig of the 2017 Kepler Orbit run of gigs, back at the amazing Plink Plonk. 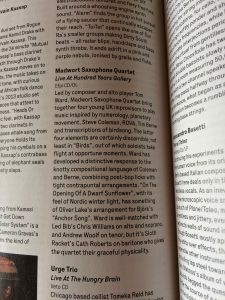 Very pleased to be returning to Lancaster Jazz Festival after such a great time with Cath Robert’s project at the 2016 festival. 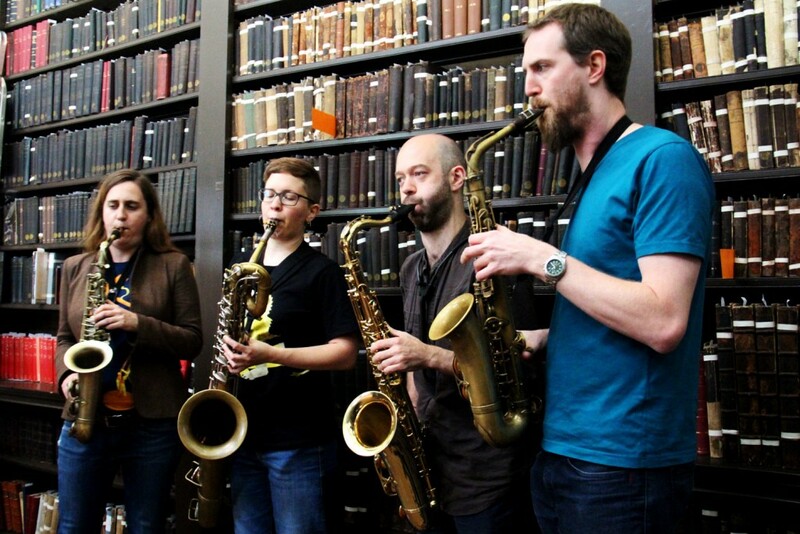 The sax quartet are playing in The Hall in Lancaster. At the beer shop with cornetist Alex Bonney. Beats & Pieces hit London on the way through into Europe! One last gig in Cambridge before we get home! At the beer shop with cellist Alice Eldridge. This entry was posted in Collaboration, Sax Quartet, Upcoming gigs on August 26, 2017 by tom. Now on general release! Get it at your local good record shop, or check out bandcamp and I’ll post it to you! This entry was posted in Sax Quartet on March 9, 2017 by tom. 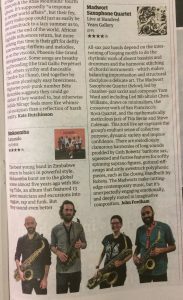 Gr8 review in 2day's Guardian for Madwort Sax Quartet album is no surprise – their recent gig for @jazznortheast was amazing. Buy it now! This entry was posted in Sax Quartet on February 10, 2017 by tom. This entry was posted in Sax Quartet on January 26, 2017 by tom. New improv trio with Otto Willburg & Johnny Hunter. Another new improv trio, this time with Martin Pyne & Ed Riches. Playing alongside Cath Roberts/Seth Bennett duo and Adam Fairhall solo, this will be a great night of improvisation back at the Vortex. 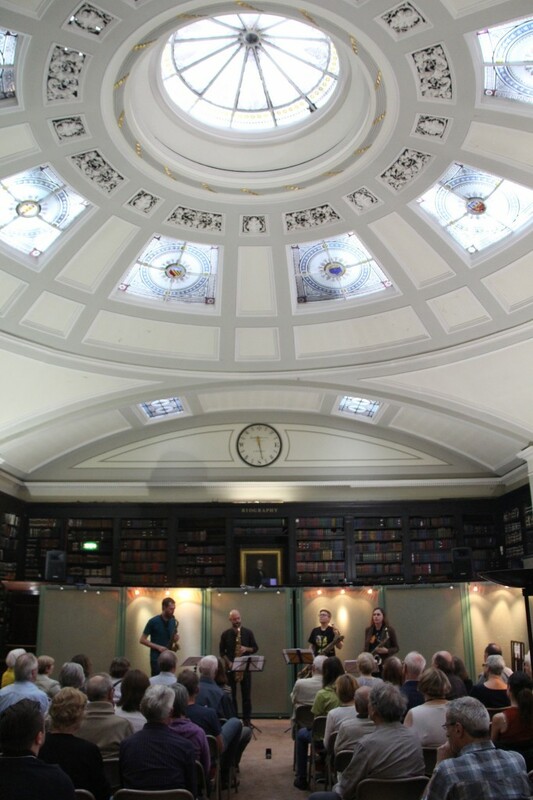 To support the release of Live at Hundred Years Gallery on Efpi records, we’re doing some gigs around the UK, supported by Arts Council England! South London’s premier night for new music! And close enough that I can walk to the gig! Woohoo! 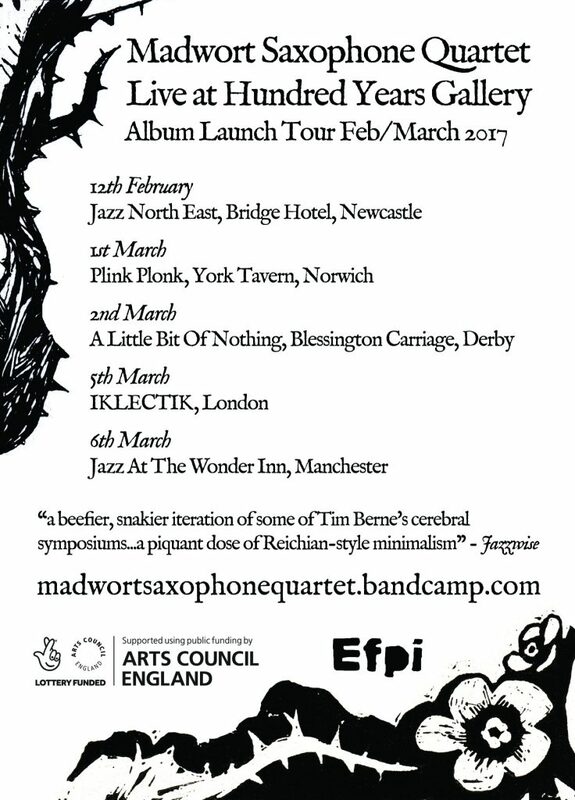 This entry was posted in Collaboration, Ma/ti/om, Sax Quartet, Upcoming gigs on January 15, 2017 by tom. 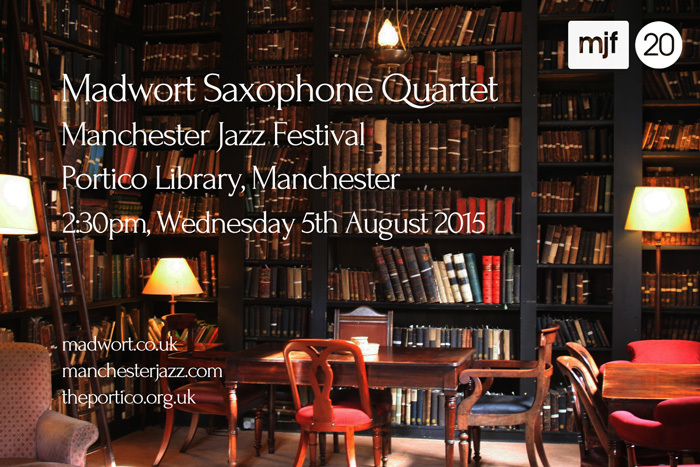 Madwort Sax Quartet @ 100 Yrs Gallery Live Recording! 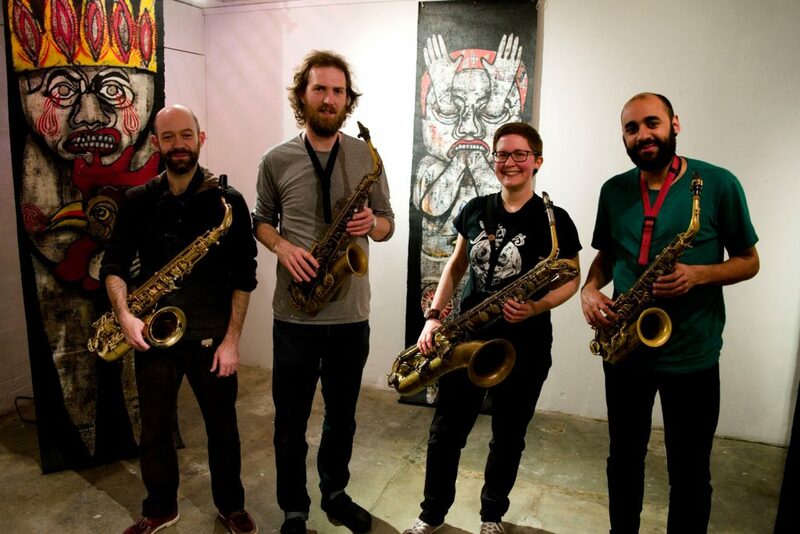 Many thanks to everyone that came down to the sax quartet’s live recording session at Hundred Years Gallery, it was such a special night! Really excited about how the results are shaping up! This entry was posted in Sax Quartet on April 27, 2016 by tom. Firstly, it’s apparently sold out, so if you don’t already have a ticket, you’re too late! Secondly, in very sad news, Chris Williams has fractured a bone in his hand in a freak accident, so the amazing Dee Byrne will be standing in for him on alto saxophone. Also, some vines from MJF!! 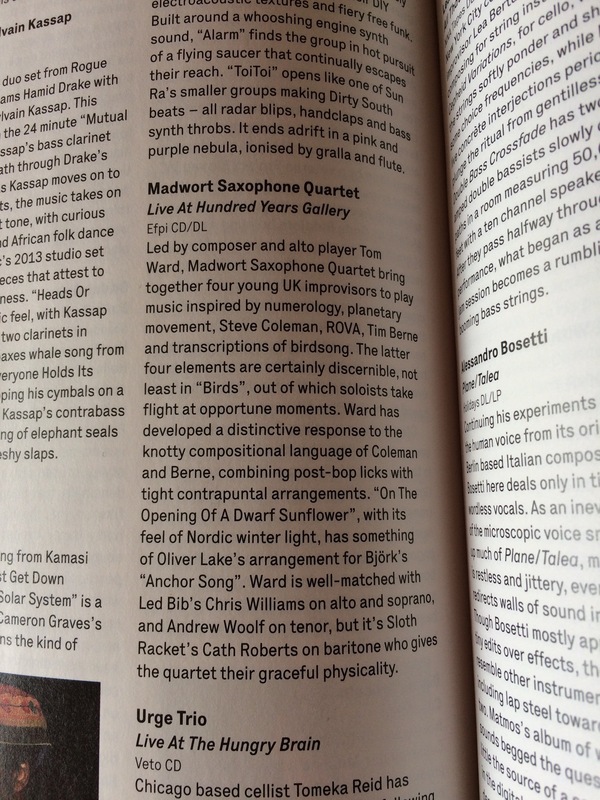 This entry was posted in News, Sax Quartet on July 28, 2015 by tom.